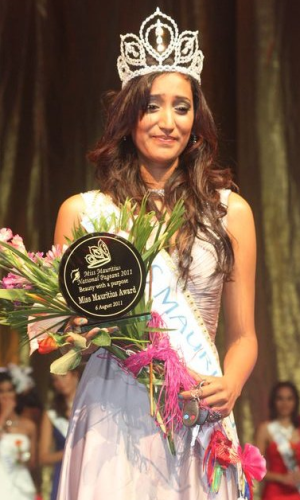 Ameeksha Dilchand was crowned as the new Miss Mauritius 2011 in a beauty pageant held at the J&J Auditorium in Phoenix. Shalini Phanchoo finished as 1st run-up and Ingrid Padaruth was the 2nd run-up. Ameeksha Dilchand will represent Mauritius in Miss Universe and Miss World 2012 contests next year.